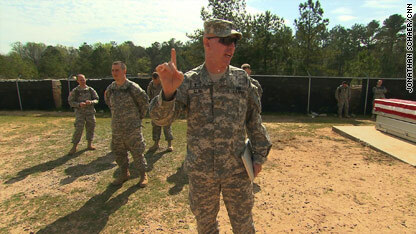 I never knew a military chaplain until I enrolled in a degree program in Washington, D.C. Both of the men in my class are outstanding human beings, and I'm sure good pastors. Nevertheless, despite many conversations with them, I still cannot fathom how a member of the clergy can join the military. As soon as that happens, one's loyalties are automatically divided. I wholeheartedly support the notion that clergy are needed on the battlefield. However, I would send them there as civilians trained to survive in such an environment, without compromising the safety of others. I would also send them there paid by their respective religious organizations. That way there cannot be any sort of subtle or overt pressure to support a military value or goal that might be in conflict with the chaplain's spiritual and religious values. I do accept as true with all the ideas you have introduced to your post. They're very convincing and will certainly work. Nonetheless, the posts are too quick for starters. Could you please lengthen them a bit from subsequent time? Thank you for the post. to echo: you forgot to mention harry s. truman remember hiroshima, nagasaki. CNN biased calling them pastors instead of clergy. "Pastor" does not represent all faiths like "clergy". American soldiers should be proud to be the liberator of every nation on earth. Never commit suicide when belonging to such honorable tasks. The only depressing reality is the fact that America(the West) is becoming a protector of perversion instead of normal freedom. The problem is, I love perverted p0rn too much, and the West keeps giving me the best material. The second CrystalRiver is a fake. Whoever you are The Original, I really don't appreciate that you keep slandering me. Just because I'm Korean and love perveted p0rn doesn't mean you can take my name and call me a fake. @The Real Original: The West is perv and immoral because it legally supports perversions such as g-a-y marriage. That alone states the moral level of a society. P-o-r-n is a global problem, not just of single nation or two. Man must learn to love and honor one woman for lifetime unless he is a monk; there is no other solution for s-e-x-ual sins. Man must battle against the evil till the end, never giving up; it is gu-aran-teed he will find de-li-ve-rance on the way in Christ. Atheists never battle against evil but only affirm and promote it. I don't belong to Korea. Stop calling me Korean, you fake. Do you sincerely believe that the U.S. military acts in the role of a "proud liberator"? Even a cursory consideration of the history of American military incursions since the end of the Civil War indicates that few if any have been undertaken primarily for defensive purposes or to liberate the oppressed (yes, that includes WWII). Read Marine General Smedley Butler's tome "War Is A Racket" for some of the details. Jesus, John the Baptist, and all the Apostles never told any soldier in duty to lay down swords, not even to Romans. Like money, it's abuse of sword that is wrong, not sword itself. Some Christians stay pacifist and choose to die or get protected by other kind of Christians, but really every man must be trained to combat effectively. It's a sinful world with real criminals and real human tyrants that we live in. One cannot afford to stay naive in this world. If you don't battle for what is right, you end up creating more victims. The Jews in Nazi camps could not have been rescued by pacifists, though prayers to Almighty God and trusting Him is indeed vital. The history of Christianity indicates that few if any nominal Christians took up arms for the State until the late 4th century. 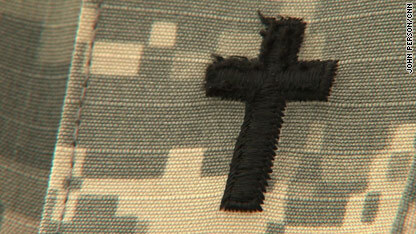 Soldiers who converted to Christianity would typically refrain from combat after doing so. It wasn't until after Augustine of Hippo's contra-biblical "just war" theory was embraced that nominal Christians became involved in secular warfare. The swords that Jesus told his disciples to carry with them during their ministry were not intended for the purpose of attacking humans or even self-defense against humans, but for protection against wild animals that they might encounter, as is evident from Jesus' rebuke of Peter after he attempted to defend Christ against the Roman centurions. Secular warfare is rarely if ever a 'battle for what is right.' Instead, they almost always motivated by a desire for the acquisition of land, resources, etc., and/or to establish and maintain geopolitical hegemony. Of course they are presented to the populace with a lofty rationale in order to garner support. Jesus clearly stated that his kingdom was no part of the world. At Matthew chap. 4 Satan is seen offering Jesus control of all of the kingdoms (governments) of the world. Christ did not dispute the Devil's authority over such. The prophecies in Daniel and Revelation indicate that Christ's kingdom will eliminate secular governments. Thus the notion that one or more human governments somehow represent Christianity or Christian principles has no basis in the Bible. Paul's statements at Romans chap. 13 relate to the fact that God temporarily tolerates secular governments because they prevent total anarchy and provide basic essential services–it is not an endorsement of secular warfare nor an argument for Christian participation in such. Romans 13:4 For the one in authority is God’s servant for your good. But if you do wrong, be afraid, for rulers do not bear the sword for no reason. They are God’s servants, agents of wrath to bring punishment on the wrongdoer. But of course you already knew this. Be chaplan o soldier and identifiing yourself as Christian, you are wrong because the apostols and disciples of JesusChrist never! never! were involved in wars, so be honest y save your life because the Apocaliptic horse of the war is red and fire color, be wise and think about it. a) Israel was not involved in a war in Jesus' time. They were under Roman occupation, but there was not a conflict involving Israeli soldiers. b) They may not have been "involved" in a war, but they certainly did minister to soldiers (Jeus healing the Centruion's servant, Matt. 8 for example), including those under the charge of the occupying authority. c) Chaplains are not "involved" in war for fighting purposes, but to minister to the people involved. Soldiers need to be loved and cared for too, and that's what a chaplain does, as well as other ministerial things. A Chaplain ministers where other pastors dare not. Chaplains have the courage and commitment to God to lay down their lives for their "congregations." Atheism is to religion what Macs are to PCs: a trendy subculture for Vegans and unemployed weed-smoking losers. Hitler was not an Atheist he was Catholic. And most of his supporters and fellow Nazis were Christians also. Why would an Atheist hate Jews? That is a purely Christian idea he learned from Martin Luther. "Christianity is potentially one of the biggest problems facing society." —Adolf Hitler, Not a Christian. Stalin, Mao, Pol-Pot and Castro had purely political motives and the Church and religion had great power to control people who they wanted to control. Kim is not really an atheist. The Kims *are* gods, with their very own fantasy scriptures and supernatural powers. david below: There were many "athiest" nations in Europe and elsewhere that have kicked out the Jews for a number of reasons, like not integrating, money lending, shrewd but questionable business dealings, and for following a basic talmudic teaching to hate all non Jews. So yes athiests also have a problem with European jewry. Catholics and Christians obey the teachings of Christ. That's a fundamental necessity of the Christian life. You must be deluded if you consider Hitler a Christian, regardless of what he considered himself to be. Atheism is a religion for people who worship Richard Dawkins instead of God. It is most notably the only religion without any real basis or organization whatsoever. Its followers are no less uneducated, dogmatic and fanatical about their chosen spiritual path than they claim Muslims, Christians, Hindoos or Jews to be. However, there is a key difference. People who convert to Islam or Buddhism do so for philosophical or cultural reasons: people who become atheists do so because they got picked on in high school. Rummage through an atheist's emotional baggage and you will find a pile of leftover teenage angst, a few cases of repressed rage at mommy and daddy, and an overpowering urge to feel superior wrapped around a stupendous amount of self-loathing. In fact, atheists are so fanatical that they go around with a chip on their shoulder looking for 'rational' debates. Upon watching an atheist in an argument, it becomes clear that their points consist entirely of condescension, lofty moralizing, and 'clever' quips about their opponents' intelligence – in other words, atheists think that sarcasm amounts to a valid argument. They will begin by stating they only want food for thought to 'improve their position'; five minutes later, they'll state that talking to their opponent is like arguing with a brick wall. The irony of this statement is consistently lost on the atheist. Religion is a fairy tale for adults. It's a grand delusion used since the beginning of time to control people who crave being told what to do and how to think. Did you think that up for yourself or did someone teach it to you,because you crave to be told what to do and how to think? Echo, you're kind of painting all athiests with a broad brush aren't you? You've obviously been very LIMITED in your contact with them as your ignorance is just extraordinary. Typical of the judeo-christians who know less about their own faith then most athiests. For the record, most athiests got that way after years and years of being indoctrinated into the xtian cult. At least an atheiest knows what he doesn't believe, most xtians on the other hand, are still arguing over which of the 33,000 sects of their religion is "the one". Your ramblings are just evidence of the brainwashing many of us are turning away from. The opiate of the masses still works on many, as is evidenced by the GOP/TP. Too ridiculous to think about right now. Either you believe in the eternal uncreated nature of Matter or you believe in a eternal consciencness we call God. Both require a leap of faith. So athiest are no more scientific, real world or logical then Thiest's are. Both positions require a level of unvarifiable faith. Chaplains provide a valued service to the Army, and I am thankful for them. I served with several, and they were all fantastic., even those who knew me to be Atheist, they continued to take an active interest in my own and others mental, and 'spiritual' well being. American chaplains, please maintain sound Biblical theology over all things. Pray a lot and read the Bible a lot. Pray in Jesus' name. God bless you. @SuddenlySpam: First, thank you for your service. 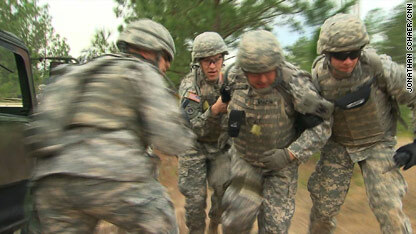 Second, thank you for a post that concerns the story and the duty performed by the US Army's chaplains.